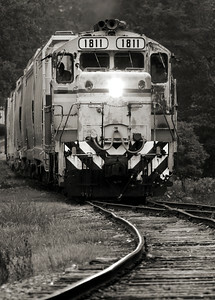 I first started documenting the Caldwell County Railroad during the spring of 2006. My very first memory of a train was from this railroad in the early 1990's as a train pass by Hardee's in downtown Hudson, NC. A lot has changed since then and a lot has changed in the four short years that I have been photographing the railroad. The railroad starts in Hickory, NC where they interchange with Norfolk Southern. 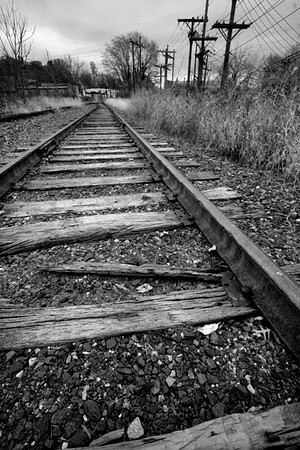 The tracks run north towards Lenoir, NC. 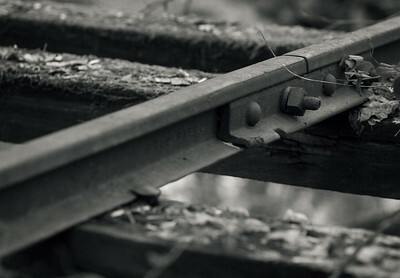 On August 31st, 2007 the last train ran through Lenoir, NC when 5 miles of the Caldwell County Railroad (CWCY) was closed so that Google could build a server farm. 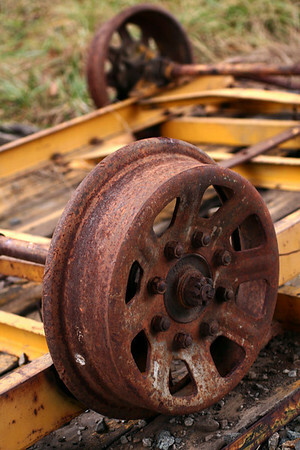 The railroad currently runs to Hudson/Whitnel, NC once or twice a week, if that. 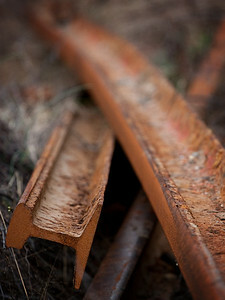 Rails rusting in Whitnel, NC. 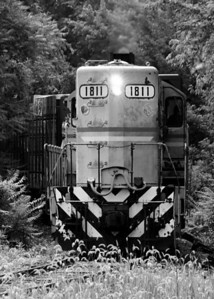 CWCY 1811 heading into Lenoir, NC for the last time on August 31st, 2007. 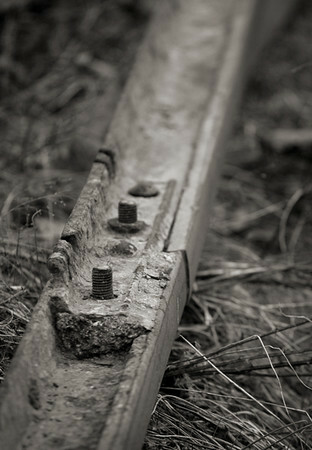 Old tracks sitting along the line rusting away, Whitnel, NC. CWCY 1811 and the crew preparing for the days work in Hickory, NC. 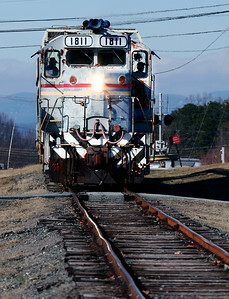 CWCY 1811 heads south through Sawmills, NC on a beautiful January afternoon in 2008. Note the NC mountains in the background, during the humid summer they are rarely visible from this distance. 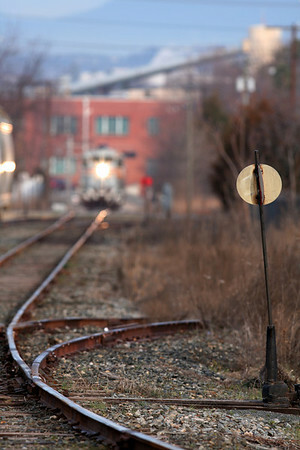 Going on 3 years with out a train in Lenoir, NC. 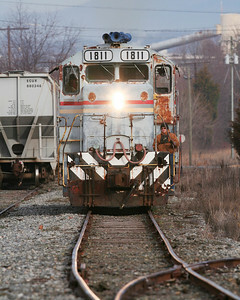 CWCY 1811 with brakeman Tim Townsend riding on the front approaching their interchange with the Norfolk Southern Railway in Hickory, NC. Some sort of cart in Whitnel, NC. 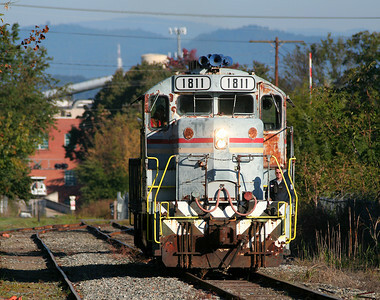 CWCY 1811 in Hudson, NC.